Fortunately there have been no recorded banzai skydiving deaths. This extreme sport has only been attempted by skilled professionals with a large supporting crew. In order to accomplish a banzai skydive the skydiver has to be taken to jump altitude by a piloted aircraft. It’s doubtful that a licensed pilot would take a skydiver up with a half-baked scheme to go banzai skydiving. A skydive gone wrong commonly has only one outcome- death. As I’ve said, we have a fun and interesting website. Banzai Skydiver Magazine doesn’t know in advance what the relationships are when discussing the subject. Each topic is carefully researched with Samantha (our computer) and special software that reveals the relationships within. Since we’re dealing with the sensitive topic of death, Banzai Skydiver Magazine feels it’s only right we show the results of that research. It would seem that the Reaper has given a few people their Lotto numbers. Whether they cash in is yet to be seen. The sport of skydiving does have its fatalities. It’s good to say, the banzai skydiving death rate doesn’t contribute to the record. Banzai Skydiver Magazine really didn’t want to write a Faces of Death article. That doesn’t’ mean the Reaper hasn’t’ given out Lotto numbers. Apparently, you don’t have to perform the defined banzai skydive to be a banzai skydiver. Being a banzai skydiver means you take the extreme risk at a particular type of skydive or skydive ad infinitum. Our most prominent Lotto ticket holders are Guinness World Record holders. Yasuhiro Kubo is our first ticket holder. 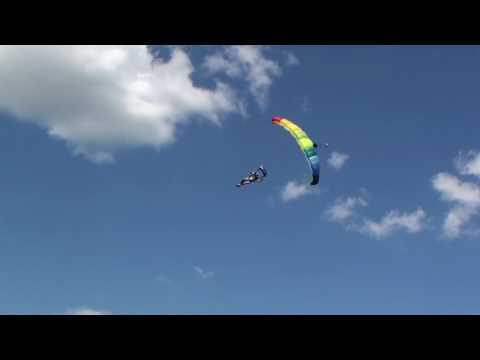 Kubo holds the banzai skydiving world record. He made the Guinness Book of World Records in 2000 by waiting 50 seconds to jump after his parachute. With exceptional skill he retrieved the parachute and was able to glide down and hit the projected landing point. Our research shows that banzai is equal to taking risk on a regular basis. And Kubo does, he is a well-known skydiving stuntman. Felix Baumgartner holds a ticket from the Reaper’s Lotto. As I said, you can fall within the category if you skydive ad infinitum. 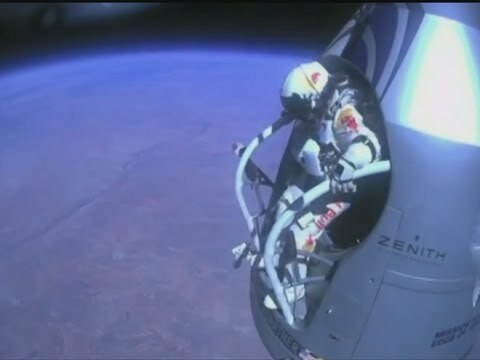 However, Baumgartner made in not for his stunts, but for breaking the world record for the highest skydive with a jump altitude of 24.2 miles (38.94612 km) reaching a descent rate of 843.60 mph (1,357.64 kph). Felix Baumgartner retired after the project sponsored by Red Bull. He stood on the edge of the world and peered into the fabric of the universe. The decision reflects unprecedented wisdom according to Banzai Skydiver’s data. Red Bull Stratos intended on breaking the sound barrier and did. Baumgartner said he didn’t feel a thing. His highest altitude jump was preceded by USAF Colonel Joseph Kittinger in 1960 who became the official advisor on the project. Here’s a Vulcan, “Live long and prosper” for Felix Baumgartner. 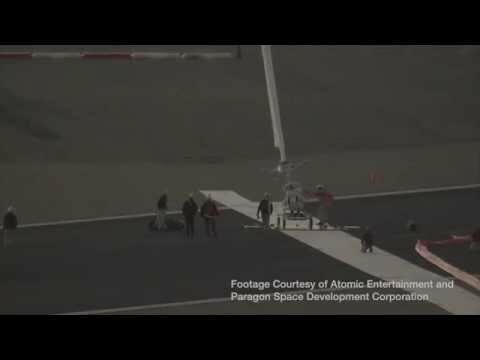 Others have attempted the space jump, and others plan on a future space jump. The most notable is Nick Piantanida. His May 1, 1966 failed. Piantanida’s was left without oxygen when his face mask depressurized. After four months in a coma, he passed at the Veterans Hospital in Philadelphia. The Strato Jump III gondola is on display at the Smithsonian Institution’s National Air and Space Museum. Nick Piantanida’s passing is not an official banzai skydiving death. Don Kellner has beaten the odds. There is 1 death for every 150,000 jumps in the U.S. Kellner has over 41,000 jumps to date. He may not be a stunt man; however, the Reaper has given him a Lotto ticket for ad infinitum. Kellner is approaching 50,000 jumps. That’s 1/3 of the 150,000 jump statistic.